One thing Pegah credits in her recovery is the support she's received on social media: "...there's so much community on [Instagram] and you connect with so many individuals who are going through what you've gone through. That's been huge, just being able to connect with others who can relate." Eating intuitively can be hard when you've been on more diets than you can remember. I spent years convincing myself I was full when I was starving then binge eating past the point of comfort. As a result, sometimes I can't tell if I'm actually hungry or full. Using a Hunger/Fullness Scale has been really helpful in making sure I'm eating enough. You should avoid feeling like you're between 0-2 (empty, ravenous, very hungry) and 9-10 (stuffed, sick). The goal is to eventually be able to listen to your internal hunger cues and eat mindfully without relying on external help. Lindsey explains: "Having a big reason motivating you will help give you the mental energy needed to form new habits and adopt this new, very different lifestyle. It requires a lot of learning if you've always depended on a different food pyramid, so get creative with where you look for your resources and inject them into your life." One thing Falcon strongly suggests is following "the guidance of an expert, someone who has credentials, not someone random who is on social media". 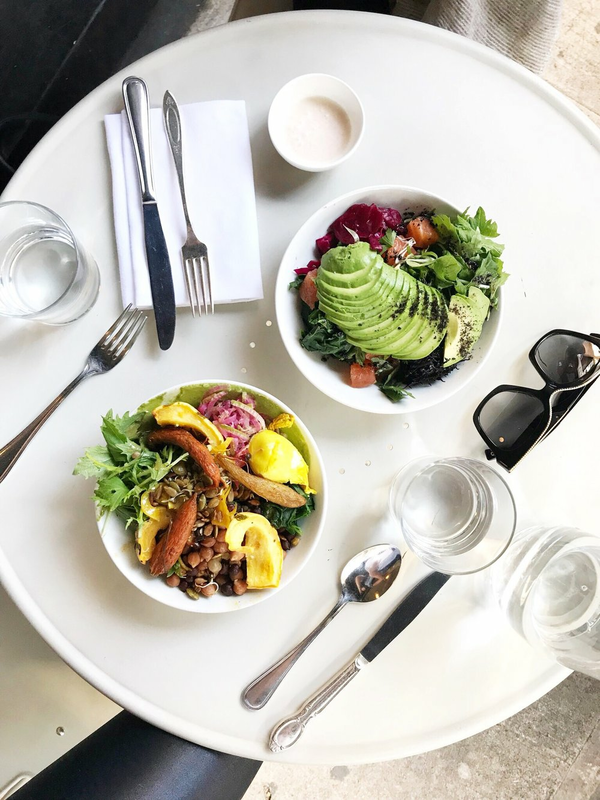 This seems obvious but in the curated world of Instagram, it can be very tempting to mimic the diet of a popular health/wellness influencer whose perfect feed portrays a beautiful, toned, happy individual. Tips will be released each time an interview goes live. See here for upcoming interviews! These tips may not work for everyone. I recommend keeping an open mind and experimenting with what works for you.